NASA’s Satellite EI 284 captured on Sep 30, 2018 01.06 AM a huge bright object that seemly leaves the Sun’s surface. On the evening of September 29, skywatcher Stefano Farigu in Italy was witnessing the sunset phase and started to photograph the Sun with a Nikon D800 camera. 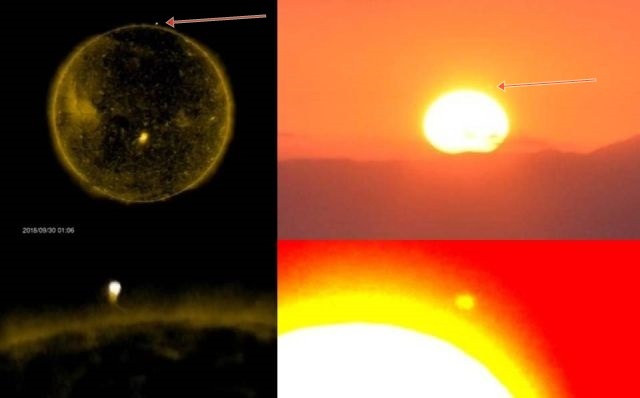 Only after viewing the images Stefano noticed the presence of a bright unknown object near the Sun. 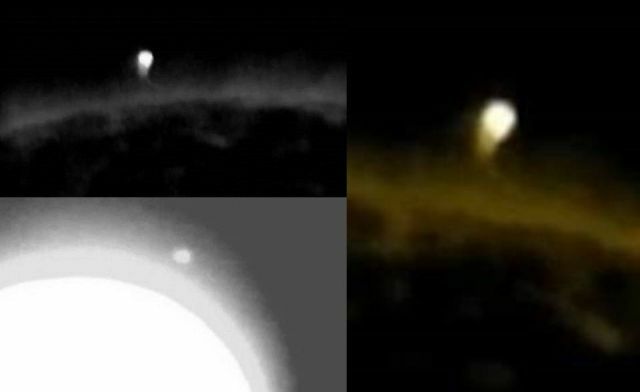 Image left: NASA images of the object – Image right: Skywatcher images of the object. Stefano talks about a celestial body, like the infamous planet X, Nibiru or planet Nine but since the images from NASA as well as from the skywatcher were taken within the same time frame we may assume that they have captured the same object (UFO?) near the sun.